By Eddie Nsabimana For The New Times. Giraneza (R) and Uwimana are happily married despite a difficult past. Eddie Nsabimana. “The only thing that I wished for Hutus was death; nothing else.” This was John Giraneza’s thoughts 25 years ago. The 45-year-old was keen on avenging the death of his family that was virtually wiped out during the 1994 Genocide against the Tutsi. 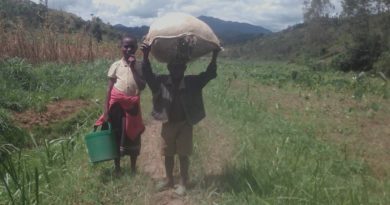 The resident of Rweru Sector in Bugesera District harboured the grudge for years, before transforming into a champion of unity and reconciliation in his village and later the country. Giraneza was born to a wealthy father. His mother was the first among his father’s 10 wives. He had 36 siblings. Twenty-seven of them, alongside their father and mothers, were murdered during the Genocide in Bugesera. Today, he can be seen walking on clutches due to the disability inflicted on him during the Genocide. The disability stems from visible machete scars, especially in his the head, arms and limbs. “I hope you can see how I walk! This is all because of Genocide. See [the scars in] my head full of wounds. My legs can’t stand still, and my arms can’t work either” he says. The then military arm of the Rwanda Patriotic Front—Inkotanyi (Rwanda Patriotic Army) rescued Giraneza from a pile of dead bodies, took him to their clinic from where he received medical attention. After the liberation struggle, he was transferred to Kigali Military Hospital in Kanombe where he spent 135 days in coma. For six years, Giraneza was on a wheelchair until he was discharged from hospital in 2000. Still traumatised by the horrific events of 1994, he refused to return to Rweru, instead preferring to camp at Nyanza waste dumping site where he stayed with some street children despite owning property in his village. “I felt like there was no single Tutsi left in village, thought they had all been killed”. “My feeling was that I could not forgive anybody who was involved in the Genocide,” he said. In 2003, the government launched a project to build houses for Genocide survivors in Rweru in collaboration with a nongovernment organisation, Prison Fellowship. Under its implementation strategy, the project would bring together perpetrators and survivors to jointly work on construction activities. It’s from here that pastors would preach love and reconciliation to residents of Rweru. At first, the relationship between perpetrators and survivors was tense. However, the approach would prove to be an effective tool in Gacaca courts as perpetrators willingly confessed their crimes during trials. During the first phase of the project, some 30 housing units were built and donated to Genocide survivors. This meant that survivors and perpetrators would live in close proximity. “It was strange to hear that Genocide survivors and members of the families of perpetrators were working together. I was even crazier to learn that they were living next to each other,” he says. In 2008, more housing units were built in the same village. Prior to their distribution to beneficiaries, Bishop Deo Gashagaza, from Prison Fellowship, went to see Giraneza at Nyanza waste dumping site and persuaded him to return to his village. “He persuaded me to come with him in his car (to Rweru),” Giraneza said. He had found out that their property was looted in the Genocide. 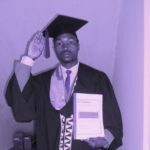 On arrival in Rweru, Gashagaza handed over a new house to him, which he reluctantly accepted suspecting that it could be a ploy to have him killed. He was always on high alert, ready to stab any Hutu visiting his home. However, after attending a series of sermons on reconciliation he was able overcome his long held anger for genocide perpetrators. 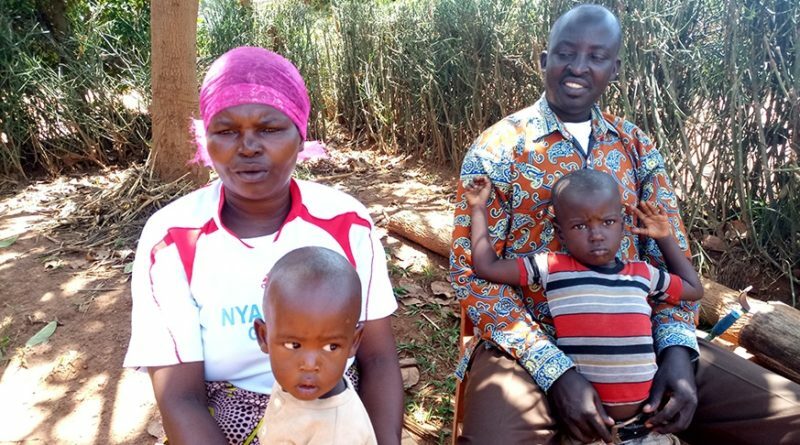 In 2008, Giraneza proposed to marry a woman whose family killed his father, mother and siblings— Marie Jeanne Uwimana. “It was God’s plan,” he says. Uwimana was very surprised and became wary of Giraneza’s motive. Her family was upset by the proposal. They warned her to stay away from Giraneza. Eventually, she narrates, she fell in love. “They (family members) thought I was crazy and were totally against my intention to marry him. “They tried their best to stop our marriage but I resisted and decided to cohabit and we later proceeded with civil marriage,” Uwimana says. The couple now has four children; three sons and a daughter. Giraneza and his wife have their sights set on improving the welfare of their family and the society where they live, especially that of people with disabilities. Later, through the Girinka programme, the government donated a cow to the family of Giraneza. “I am happy with my family, our children are going to school. In general, I am on the right path,” Giraneza revealed. Over the past 10 years or so Giraneza and his wife have worked very hard to restore their pride. He recounts that some people who killed his family died while others are in prison. “I have pardoned so many people, the ones who killed my family and those who looted our property during the Genocide,” he said. 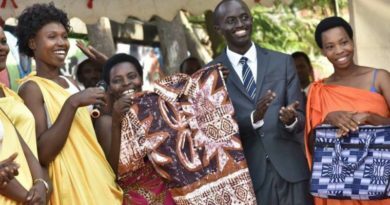 At some point, Giraneza moved to save his mother-in-law’s land from being auctioned in order to compensate Genocide survivors whose property she had participated in looting. “After I paid all arrears she owed to the Genocide survivors, she insisted on giving me the land in return for the money I paid. But I had no intentions to take it. I instead wanted her to remain with her land and live comfortably as mother to my wife,” he said. Giraneza now uses his story to inspire reconciliation. He has been on various missions outside Rwanda to preach reconciliation. In 2015, he travelled to the Central African Republic and South Sudan to spread the same message. “I am happy that I was able to recover from my past and I am proud to keep preaching the gospel of unity and reconciliation, not only in my country but also abroad,” he said. He is the leader of Ubumwe n’Ubwiyunge village, which is home to 110 families of Genocide survivors and perpetrators live in close proximity and run joint income-generating activities. 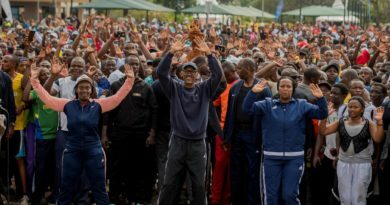 According to Jean Paul Ntwali, a representative of Prison Fellowship, the couple is proof that Rwanda’s journey to unity and reconciliation efforts are bearing fruit. “They are an amazing couple which people should learn from,” Ntwali said. Leonard Rucogoza, a former Genocide convict, who was released in 2003 said that: “I never imagined the couple would possibly live together because they have different stories in the past. 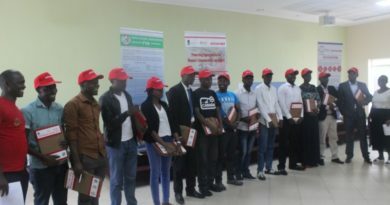 Rucogoza said that more people can draw inspiration from Giraneza and Uwimana’s union. “It’s an indication that Rwanda is on the right track,” he said.